The Art Schools of Aix-en-Provence and Avignon and the Faculty of Fine Arts Alexandria organize with Transverscité and the RAMI platform FutureScape Alexandria, a highlight on French-Egyptian cooperation from the 18th April until the 3rd May in Alexandria. 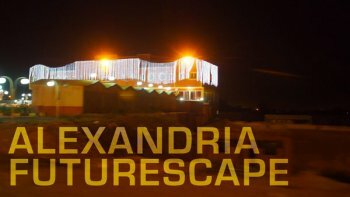 FutureScape Alexandria includes two workshops and a final seminar gathering students and teachers from the different departments of the Faculty : architecture, painting, sculpture, decoration, restoration, etc. The cooperation program involving the three schools (Aix, Avignon and Alexandria) has been focusing since 2013 on the Egyptian artists’, students’ and teachers’ preoccupations for the destruction of cultural and architectural heritage buildings in the city. Following the revolutions, informal urbanism progressively grew and citizens intiatives developed in order to raise awareness about the destruction of historical heritage, such as « Save Alex» working on the development of an interactive map gathering testimonies, documents and videos collected in certain areas of the city. A video and multimedia workshop by ESAAix. Following Walkscape Alexandria directed by François Lejault ( video art teacher) and Guillaume Stagnaro (programming- hypermedia teacher) in 2014, FutureScape aims at developing a reflection and artistic production about the future of the city, based on imaginary and utopian traditions of fiction and science-fiction. Using various artistic mediums, heritage places will be used as starting points for the creation of stories on imaginary futures of the city. All the productions of the students (videos, sounds, sketches, ...) will be collected in a website, constructed as a data base telling the stories of the endangered areas of the city. In the Museum of Fine Arts inside the Faculty of Alexandria, directed by Elise Alloin, this workshop is a professional training program focused around the collection of the Museum. It develops a methodological approach about care and conservation questions of a collection in its specific context, both material and immaterial (social, cultural, artistic..), including the participation of professionals from the museums of the city, Bibiotheca Alexandrina Art Center as well as outside visits in public space.